This is one of my favourite painting I have ever done. The Train started off as something quite different in the beginning but ended up not bad at all. 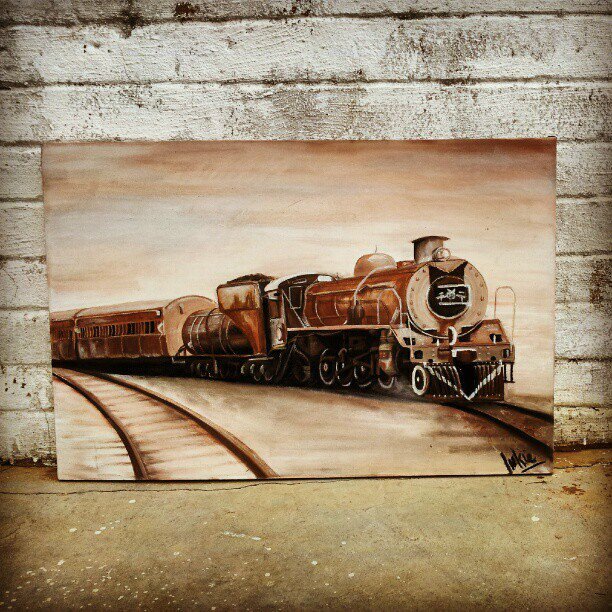 I started with the train (This is a picture of a train in Knysna) because I wanted the challenge of the details. But when it came to putting in the detail of the pipes, etc. I thought to use coloured pencil instead. Like most mixed media projects you are not sure what to expect or if it will work until the end.